When Square Enix announced Octopath Traveler: Champions of the Continent for mobile devices in March, it raised questions about how long Octopath Traveler would remain exclusive to the Nintendo Switch. Roughly a month later, a Korean rating for a PC version of the original outing was spotted online, seemingly confirming the inevitable. It's now been confirmed by Square Enix the game will no longer be exclusive to the Switch. In a deleted blog post (thanks, Gematsu), the Japanese publisher revealed the JRPG would be released on 7th June on Valve's Steam platform. Octopath Traveler was originally released on Nintendo's hybrid platform in July 2018. For a number of months, Square Enix had trouble keeping up with the demand for the game. Unsurprisingly, this isn't the first time the Switch has hosted a timed-exclusive. A Korean rating for Super Bomberman R on the PlayStation 4 was also discovered a year after the launch of the Switch version. 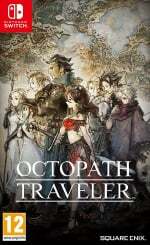 How do you feel about Octopath Traveler being ported across to the PC? Do you think this game should have remained a Nintendo Switch exclusive? Or are you glad more people will be able to play this game now? Tell us down below. That’s fine. It’s always good to have games available for more people! It is a console exclusive, nevertheless. Time to throw away my switch now. Mixed feelings. Switch exclusive for about a year was great. But i think its fine that more people will get to play this incredible game! We can always say "we got it first." Haha. As a Switch owner of this game I think its awesome that more people will get to experience it. Hopefully if it sells well SE can make a sequel that actually ties the storylines more together! You guys got Cuphead from Xbox and maybe might get Persona 5, this is fair in my opinion. I don’t think there are any negative aspects to this. More people get to play this great game, and that means that it’ll sell more. It’s very rare for a third-party exclusive to benefit the gamers who actually buy the game. Except when one of the major platforms actually pay to help get them made, third-party exclusives really shouldn’t exist (in my opinion). Good. Now more people will be able to play it. Can't see anything wrong with that. And soon we Switch owners will get to enjoy Cuphead. Everybody's winning! Good games traveling ( ) from the Switch is fine in my book. Why can't it be a two-way street? Hope you PC players will enjoy it more than I did. That shouldn't be hard I think. Could not get into this game's story whatsoever. I'm glad to see most people are cool about this. It seemed a while ago people would have a fit over exclusives going to other systems. Exclusives are nice when you first buy a system but at the end of the day I hate seeing any game locked to just one system. I'm sorry but I'm not happy other players will get to experience the game. I say screw them; these are people who could've bought a Switch but didn't. I want as many games to be Switch exclusives as possible. Call me selfish but Switch isn't exactly drowning in 3rd party exclusives and losing the exclusivity to such a great game is a sad development. And, by the way, I understand I might be being unreasonable, and that's okay. The timed exclusive practice is annoying but fair, as long as all platforms receive the same amount of love and content. Once PC gets their own premium packs and DLC, THEN I will have an issue. Nonetheless, I'm looking forward to this if only to see what the modding community can do to this game to improve it or add something new. Octopath Traveler is doing some traveling of its own. i'm glad that this is coming to PC. Really really really good news if the sequel is exclusive to Switch for a year. Between a PC port and a mobile game, that means the sequel could have potential to bring brand new buyers to Switch. Great. Now more people can buy this game and not finish it. Consoles should have first and second party exclusives but I've never understood third party exclusives. @MisterMan Great. Now more people can buy this game and not finish it. LOL, I couldn't even finish the demo so I never bought it. After all the hype died down and people started talking about it's shortcomings I was glad I never bought it. It's nice to see an end to exclusivities. IMO players should not be penalized for what system they bought. As a developer I would want as many people as possible to play my game not just a handful of people. Steam is such a port machine! I will eventually get this when it’s like 30 bucks on the Eshop. Not because I don’t think it is worth more, rather it’s not one of my favorite genres. Cool to see it on PC. I suspect many Bravely Default fans will be happy to hear the news. Shouldn't all 3rd party publishers aim to get their IP on as many platforms as possible? @Kevember The game can still be purchased and played on the Switch you dolt, losing it's exclusivity doesn't make the game better or worse. Or did you only cared for it cause it was an exclusive? Good more people can enjoy this awesome game. @MsJubilee Are you sure you are replying to the right comment? Or do you just not know how to read? @MisterMan I didn't even finish the DEMO. 2 times, gave up. It's fine to let them to have it on PC.. WE ALSO GET CUPHEAD.. RIGHT? RIGHT? Doesn't matter, we're getting the sequel on Switch anyways. I guess it is exclusive ON THE GO only, and that's Switch. Great news for the PC crowd. I still need to pick this game up myself. Sweet, now all platforms can experience what an overrated fuss this has become! Contrary to this game's (very) vocal critics, I enjoyed it. It won't go down as much more than one of the many highlights of the Switch's library, but it was easy enough to recommend to JRPG fans. It'll be a treat to play this in 4K with unlocked FPS, assuming SE does a proper job with the port. For a game like this, it was frustrating to see it struggle maintaining 30 FPS. As for losing exclusivity, OT is still a console exclusive. Had it been ported to the X1 or PS4 with superior resolution and performance, all the Switch would have on the other versions is portability. That alone is enough to justify a purchase for some, though. Switch still got it first. As opposed to like 95% of all other games which come to a Nintendo platform second or third, if at all. @TheAwesomeBowser Yeah, I'm really happy about that. And this was just a timed exclusive. I might actually going to double dip on this. @sanderev Laptop is on the go too, but you have to put it on the table or on your lap to play it. Switch is different. It is 10x faster to access the game and more efficient. You don't get many third party games that remain exclusive these days. I think it's just much easier to port to other platforms than it used to be. But it had a strong sales on Switch so I'm sure SE don't regret it. And thanks to OT, SE feel confident enough in Switch to keep releasing more games for it. @Yrreiht This is why so many Dragon Quest 11 owners weren't happy with the Switch getting quite a substantial amount of exclusive content. I hope people will be a bit more understanding now. This was my Game of the year in 2018, hope it will sell well on pc. Its would be well deserved. @Kevember I appreciate your honesty and totally understand your line of thought. On the other hand, snooty PC master race gamers would never dirty their hands with a joy-con. At least this way they get to appreciate something of what the Switch has to offer. I don't care, the more people see it's brilliance, the better. Exclusivity means nothing to me. @sanderev Not that a game like Octopath would warrant a gaming laptop. I guess it's running well on any 400-500 buck office rig. Once persona 5 confirm for the switch then nobody gives a damn about this. It takes time much like fighting ex layer to PC. Phoenix Wright is in abundance everywhere. Always good to reward someone who bought first though. Similar to detective Pikachu Pokemon trading cards on opening weekend. @N8tiveT3ch you only bought a Switch for one game? Now I know why it's in a "sale". It's to stop the PC version being cheaper on release than the 1 year old Switch version! Hooray! Now even more people can be disappointed in Octopath Traveler. @N8tiveT3ch if you’re throwing away your switch then why do you keep commenting on Nintendo Life? Crap those exclusivities, games are made for everyone's enjoyment. Now bring Persona 5 and Jump force to Nintendo Switch! @N8tiveT3ch wouldn’t you be better off selling it? I hope a physical copy might get a bit cheaper now. Oh I am furious! I will smash my switch to bits and flush it! Or you know be happy more people can play the game and it might lead to a quicker sequel. But that would logical. No problem with this; however I can kinda see the advantage of an initially exclusive 3rd party game as it allows developers to concentrate exclusively on developing for a single platform and getting the most out of said platform. Most of the most visually impressive 3rd party titles I can think of (Okami, MGS4, Crysis) all were as exclusive to one platform. Most eventually made their way to others. This game and I have a weird relationship; it kinda drags on and I take regular breaks but I keep on coming back to it as I find the characters endearing. Lovely soundtrack too; already picked 2 tracks for my wedding reception. For me, this game is made for the Switch. Amazing in portable mode. Just started and only 3 hours in. Perfect fit for the Switch. It's a third party game. Only fanboys card about nonsense like this. Plenty of PC games are coming to Switch (Civilization VI comes to mind) and now a Switch game can go to PC, like most 3rd party exclusives on other consoles. We just got God Eater 3 announced, and Cuphead, likely Persona 5, not to mention Final Fantasy X and Final Fantasy XII, World of Final Fantasy, Dragon Quest Builders, the aforementiioned Civilization VI, and that's just off the top of my head. Honestly, I’m glad. I play a lot on my laptop (built my own rig and literally crammed it into a case - soldering intensifies) and Steam is much more likely to have sales. Yes, I know it’s on sale just now but with the wealth of Steam sales and key sites, I could get it for a great price considering this version will undoubtedly be missed to include uncapped FPS and 4K resolution. That’s if SE don’t do that first, which is unlikely looking at their other ports. I love my Switch, but it’s the exclusives I’m really interested in and any excuse to play on my laptop and I will. I would just like to point out how amazing this fanbase is. While xbox and ps players would be throwing a fit about this, everyone here is just happy that others get to enjoy a great game. It's nice to be apart of such a wonderful community. @KingdomHeartsFan we knew the Switch version of DQ XI would be getting more content than the PS4 and PC version. I mean, it was obvious to anyone with half a brain, considering the additional content the 3ds version had, and the fact it was never being released outside of Japan. Only logical the Switch version which would release outside of Japan, would end up with a lot of additional content to make up for a two year wait. This doesn't bother me one bit. It can go to PC, Xbox One, and PS4 for all I care because I get the satisfaction of knowing that I can conveniently play the game anywhere, anytime on the Switch and it looks and feels wonderful. It is a wonderful game and any money it makes funds more games in the series. Good. Third party games being exclusive to anything is stupid anyway (unless the platform holder has funded their existence, I can let that go). Thankfully they’re dying out and hardly exist anywhere these days. That’s why I don’t understand some Switch owners bleating about not having many. No system does. Yeah? But can you play it at your gram grams funeral? @Krull The world is not as polar as you act like it is. I have a RTX 2080 PC and Switch and enjoy them both. @Kevember Comments like yours make Nintendo fans looks bad. If you can't stop being egotistical, then stop yourself from talking about it. @Jackal TBF, I didn't say all PC gamers sneer at consoles - I specified the snooty master race ones! Of which, even you must admit, there are some. Just like there are Nintendo fans who have to pour scorn on anything Sony does, and vice versa. I am in none of these camps, by the way. Gaming should be for everyone. Apart from Albanians*. I think this is great. It allows a game to be enjoyed by more people, and that's never a bad thing. However, I would imagine it would stay a console exclusive, although I could be wrong about that. My only issue is that, typically, "coming to PC" in this manner usually only means "coming to Steam." I would really like it if a game came out on multiple storefronts, such as Good Old Games. I think Octopath would fit in perfectly with GoG, but obviously more couldn't hurt. I'm not particularly 'boycotting' Steam per se, but would rather avoid it when possible. You don't often see complaints when a game comes exclusively to Steam, only when the developer has opted NOT to do so. Not to stir up any kind of debate, especially with recent events concerning a particular OTHER (more insecure) store front recently getting some timed-exclusive releases lol. I am just saying: the more storefronts, the better. Two years is a pretty good run though. It's still exclusive between the game console/handheld makers, and at the same time after a year allowing PC owners to experience a fantastic game which would have no baring on Nintendo at all. Wins all around, and any hate on this would be lame fanboy behavior. @Pod It came out in July of last year. Ah, my bad. I remembered at as having come out closer to launch. Yay more people get to play this! I'll tell a buddy of mine as he has not bought a switch yet. I always loved how there was random overlap in the stories, with all of them either feeding into or begin impacted by the final boss. Felt more organic than the RPGs that are more blunt about making the heroes tie together. It's no longer exclusive... ok. It doesn't belong to me, I played it on Switch, and life goes on I guess. @Jackal I don't know where you're from but where I live we believe in the concept of saying whatever we want. I'm not doing PR for "Nintendo fans" so I couldn't care less if I make them look bad as you say. I want Nintendo to do well and I know they need the exclusives. Sad to see the Switch lose such a good game as an exclusive. Square could've at least said it was a timed-exclusive at one point, but nah, random PC port out of nowhere. @shoeses It's been a timed exclusive for more than a year. And really I'm fine with it hitting the PC. I wouldn't even mind an XBOX or PS release of the game. I think timed exclusives are fine for 3rd party material. If we're going to have big 3rd party titles to come to Switch, then we have to be okay with big 3rd party titles also being on other platforms. 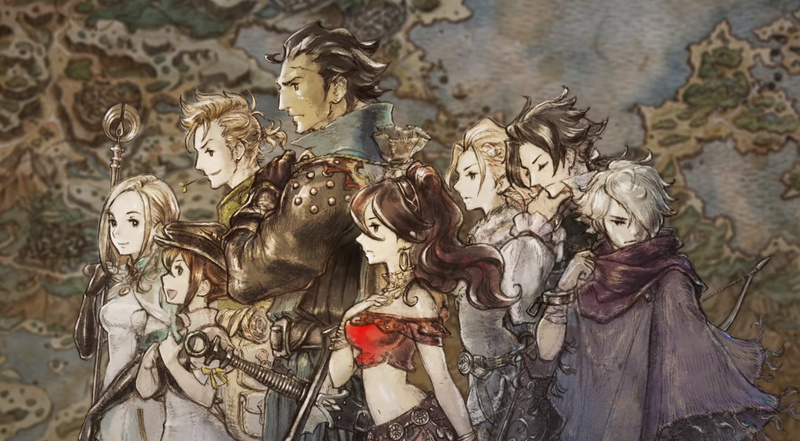 Octopath Traveller is one of those games that should live on as many platforms as it can, like the original FF titles. @icerzerocool Nope, GPD Win makes almost all PC games portable too. So far, portable PCs, that fit in your pocket and are designed for gaming on the go, are a new and fledging technology, but it is already enough for playing light, indie games. @NintendoFan4Lyf @icerzerocool There are pocket gaming PC's, like the GPD Win 2 or Smach Z, that could play this on the go as well. Portable gaming PC's are an upcoming tech, largely thanks to the new range of smaller, more power efficient processors coming out. You may believe in being able to say whatever you want, but that doesn't stop what you're saying from being stupid. Least surprising news ever. Name one Square Enix game that's a Nintendo system exclusive, I'll wait. Then list all of Squeenix's games that are still PS exclusives. Both errands will take an awful lot of your time. @MsJubilee You list Persona 5 as if it possibly coming to Nintendo now has nothing to do with the fact that Joker was announced as a playable character in Smash anyways. Yeah, does sound fair. I doubt anyone would have thought the strictly exclusive Persona series would have a chance to be on Switch otherwise if not for that fact. It feels so good to be wrong sometimes. Why do some people act like you can't enjoy a game unless it's "exclusive"? Thats it! I'm burning my Switch and deleting my Nintendo account. @Kevember "I understand I might be being unreasonable, and that's okay." The more accessible it is the better. Absolutely no downside to this, purely a positive. Ah well, more people can enjoy it now. Not bothered by this at all. 3rd party exclusives are getting rarer and rarer anyway and it's certainly not a bad thing that more people will get to play this fantastic game. Plus, at least for now it remains a "console exclusive" for the people who care about that kind of thing.